Moto Hagio is a genius and leader in the style of shojo manga (comics for women readers). [...] The stories aren't about make-up and kitties, though. They're actually deep, complicated, and often deal with family relationships. 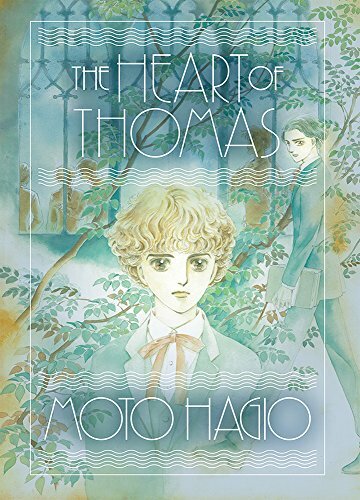 The legendary and enigmatic Heart of Thomas, by Moto Hagio, was inspired by Jean Delannoy's 1964 film, Les Amities Particulieres. Set in an early 20th century German boarding school, thirteen-year-old Thomas commits suicide, leaving behind a note professing his love for his fourteen-year-old male classmate Juli. Thomas double appears at the school, and Juli must decipher feelings.